Mathira is a Pakistani hot model, dancer, TV host, singer, and actress. She is very talented and has appealing figures which help her to establish a bright career in the showbiz industry. The amazing model is mostly known as a ‘Bad Girl’ because she challenges the conventional mindsets without any hesitation. She has won her fans hearts and come in the light of media by popular item song ‘Masti Mein Doobi Raat Hai’ in the film ‘Main Hoon Shahid Afridi’ alongside Humayun Saeed. 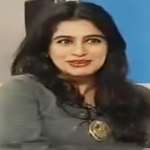 She is an all round performer who performing almost all branches of Pakistan media industry. Mathira was born on February 25, 1992, in Harare, Zimbabwe to a Zimbabwean father and a Pakistani pure Muslim mother. Mathira Muhammad was her early name but she likes only Mathira. Her family moved to Pakistan when riots started in Zimbabwe. Mathira has only one sweet sister named Rose Muhammad who is also a media star of Pakistan. Mathira started her career in the showbiz industry as a teacher of yoga in a private TV channel. The hot VJ made her debut in a music video for a hit song ‘Jadugar’. Later, she appeared in several popular music videos in her career. In 2011, she got a chance to host a late-night program titled ‘Love Indicator’ on Vibe TV which got huge popularity in Pakistan. She has also hosted the show ’Baji Online’ aired on AAG TV. The glamorous actress kicked off her career in Bollywood by doing an Item song Lakk Ch Current in Indian Punjabi film ‘Young Malang’ in 2013 with Yuvraj Hans. Mathira first appeared in Pakistani movie as a leading actress in ‘Blind Love’ opposite of Yasir Shah which was released on August 5, 20016. Then she acted ‘Tum Hi To Ho’ with Danish Taimoor and ‘Sikander’ with Farhan Ally Agha and Moammar Rana. Mathira married to Fathan Rizvi in 2012. In 2014, she became the mother of a beautiful son named Aahil. The nice looking actress doesn’t like to hide her family and husband’s name and so, give appearances on TV shows along with son and husband.